Before a parent begins a search for a ‘pediatric dentist near me’, it is wise to have all of the facts before choosing which nearby pediatric dentist you will take your child to. Consider that as an adult you have all of the knowledge to make the right choice for yourself when identifying your preferred dental provider. Children, however, cannot make this call themselves. Therefore, it is a parent’s duty to ensure that their preferred nearby pediatric dentist will provide the best care possible. As ABC News recently conducted an in-depth investigation into complications caused by misuse of proper anesthesia on children, more and more parents are becoming aware of the possibility that they may be seeing a dentist who is‘ “certified” to administer local anesthesia, but whose training may be incomplete, outdated or insufficient. One of the ways that unsuspecting parents end up visiting these dentists may be a simple search for a ‘pediatric dentist near me’ may turn up a long list of results with little to distinguish one doctor from another. 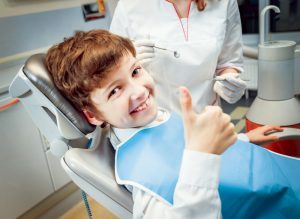 Parents will be relieved to find a dentist who administers ‘pain-free procedures’ but won’t verify who the dentist has been certified by to perform these procedures or if the staff present have received the proper training in emergency support techniques. When you’re making a choice for your child and you’re trying to avoid these dangers, don’t simply search for ‘pediatric dentist near me reviews’. An under-trained dentist may still be excellent at all procedure but not hold the proper certification for administering anesthesia. Always ask questions before you commit. Find out the type and amount of anesthesia to be administered, who will be administering it, who will be watching over your child during the procedure and monitoring them afterwards, and the qualifications of all parties involved. The more you know, the more you can find out whether or not you approve and are willing to entrust this dentist with your child’s overall health. An option that gives you a greater guarantee of quality is to go with a trusted name. At Penn Dental Medicine, patient satisfaction and safety are our goals. In an ivy-league setting, you can rest assured that every professional who deals with your child is checking and double-checking dosage and vitals to ensure that no problems arise. These professionals are trained at the highest levels in their field. The incidents of anesthesia overdose are isolated and extremely avoidable, but that doesn’t mean it’s not important to research well before you pick a doctor for your child. Stay informed, and don’t hesitate to contact Penn Dental Medicine.